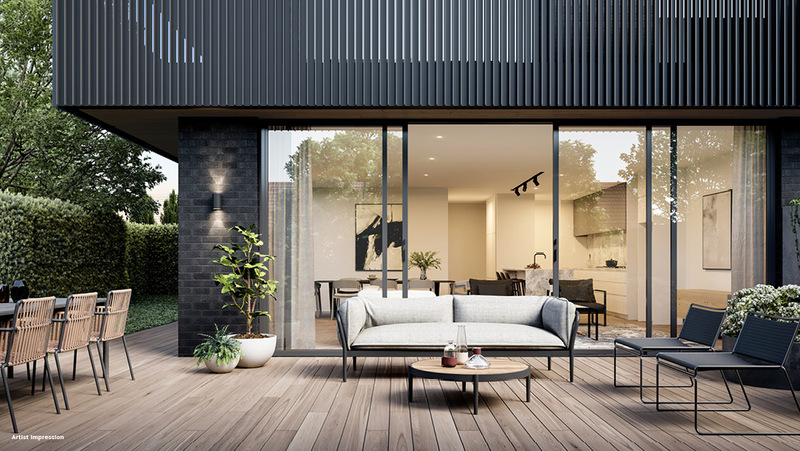 Pelham presents Armadale’s best new address – a series of 21 exclusive residences sculpted by a collection of Melbourne’s greatest design and property development minds. 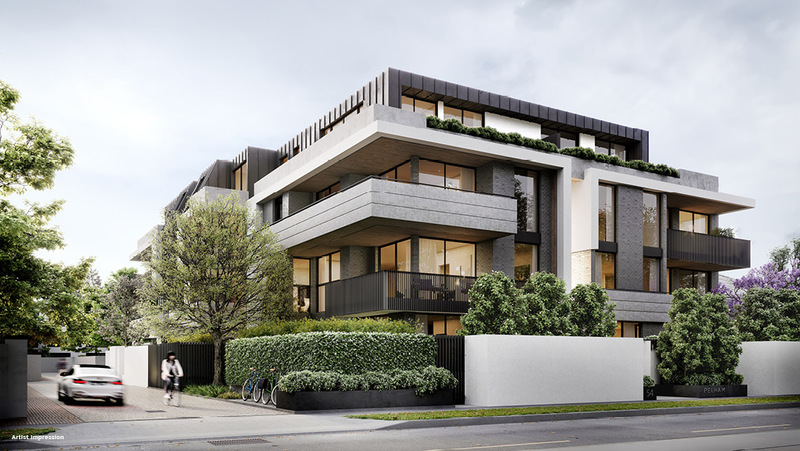 Roulston, Buxton Group, Ewert Leaf and Jack Merlo have collaborated to bring this sensational project to life. 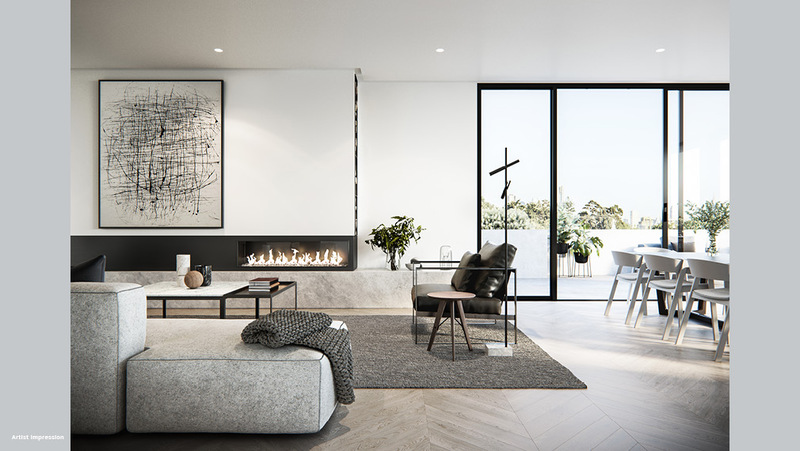 Pelham’s interior spaces are founded on a neutral palette, allowing future residents to furbish the homes with their own precious pieces. 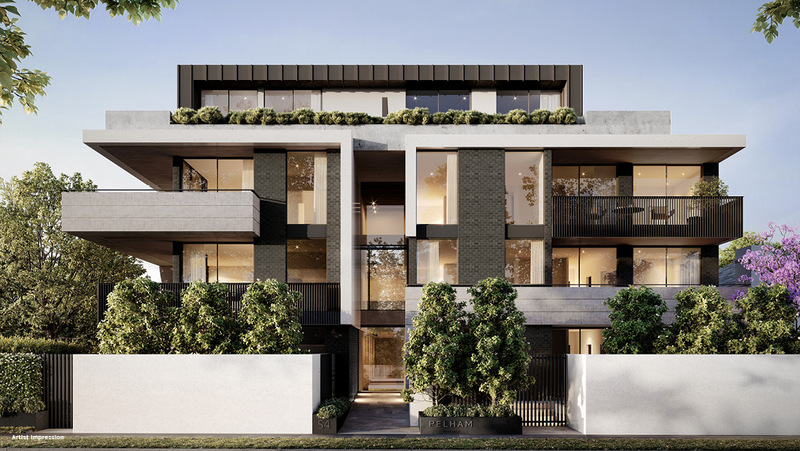 Natural materials including timber chevron flooring and marble benchtops produce an opulent base for a home of luxurious comfort. 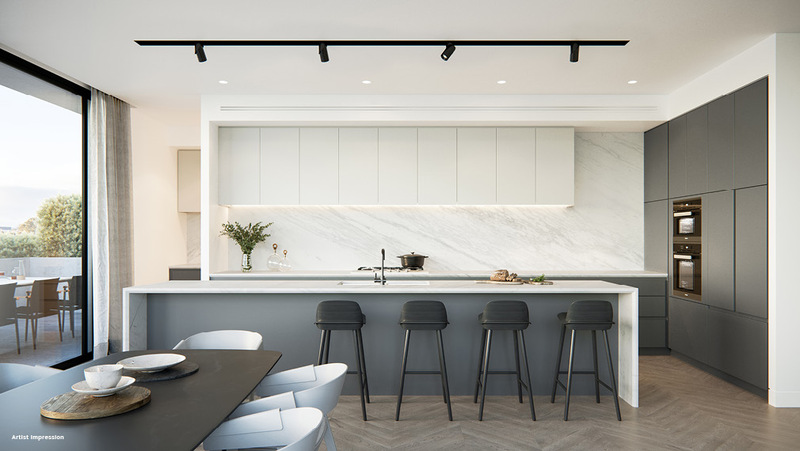 Kitchens are equipped for all types of culinary pursuits – Signorino marble makes up the generous benchtops, while butler’s pantries in the three bedroom residences allow epicureans to stock up on their favourite goods and ingredients. Powered by Miele appliances, Pelham’s kitchens are the perfect environments to bring delectable creations to life. 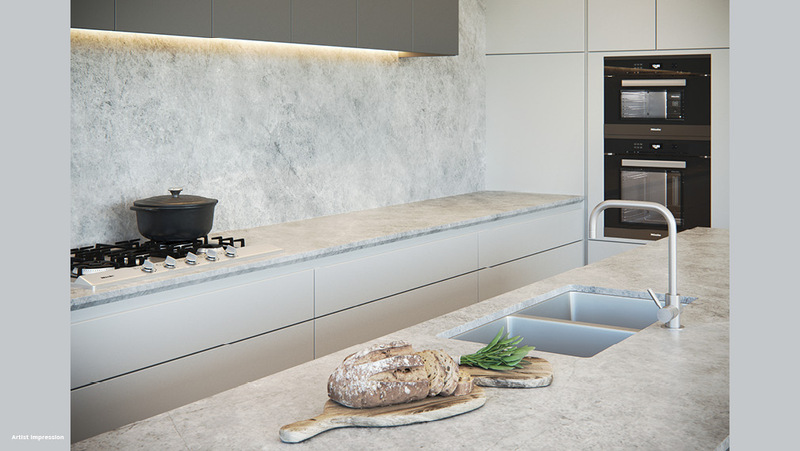 Robust materials create sophisticatedly minimal settings, allowing the focus to remain on the kitchen’s functionality. 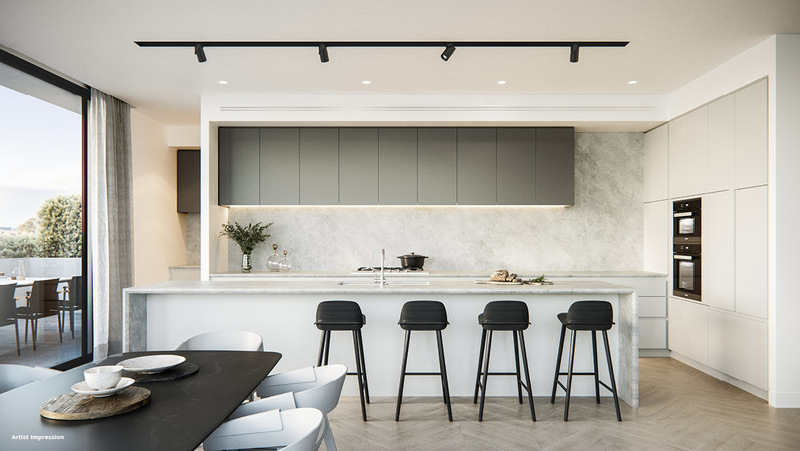 A symphony of luxurious finishes work in harmony to create elegant bathroom settings – brushed nickel tapware complements the tones of grey within the terrazzo tiles and veins in the marble benchtops. 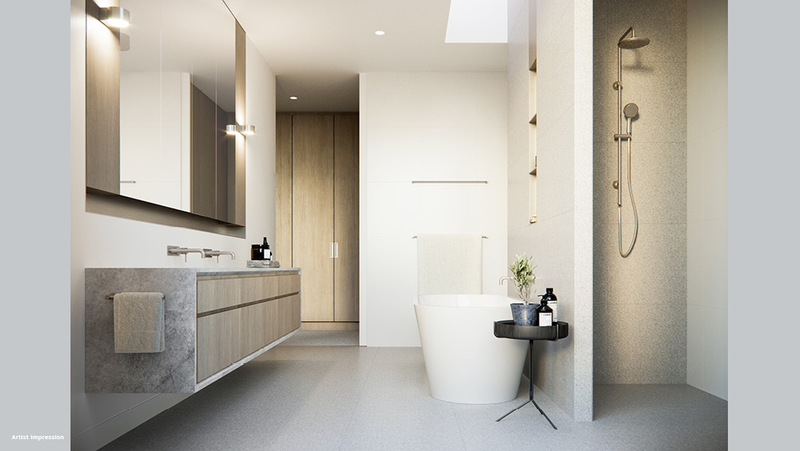 A freestanding bath centres the space, while a custom-designed, recessed vanity unit is found opposite it, designed with bevelled edge detailing. 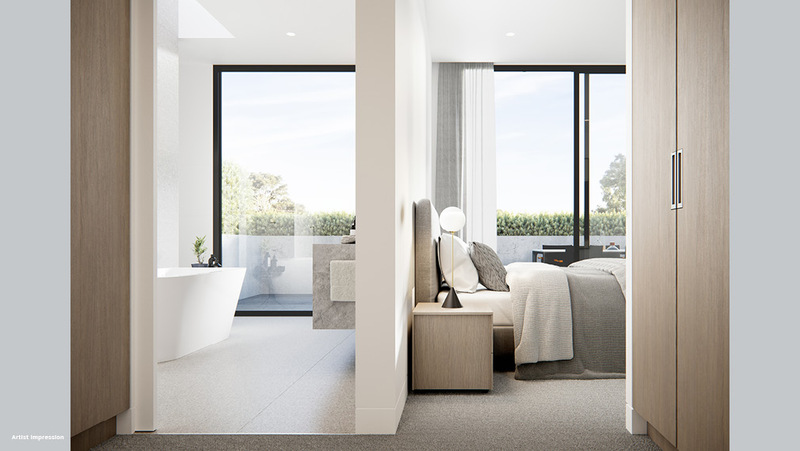 Bedrooms that feature 100% wool carpeting, walk-in robes and an amazing amount of natural light unite with bathrooms and ensuites to form homes where retreat and rejuvenation are easily found.